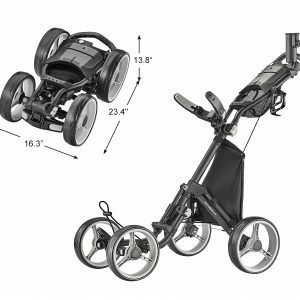 The SuperLite 4 wheel Explorer golf cart weights less than 14 lbs and can be folded in 2 simple steps to compact size for easy storage in car trunks before or after your round of golf. 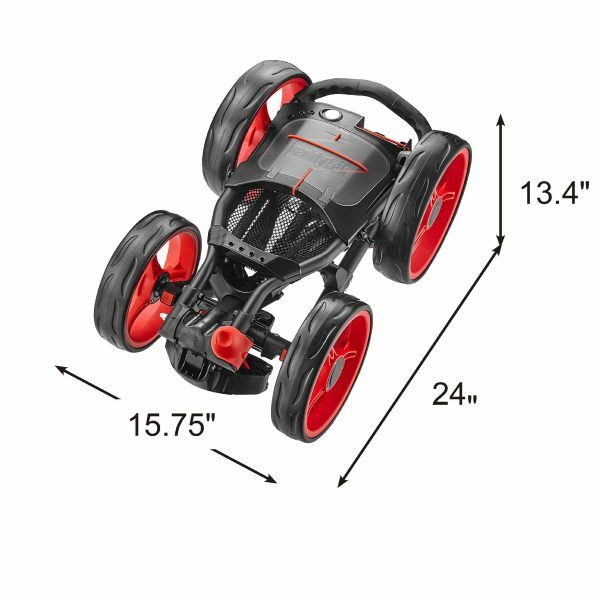 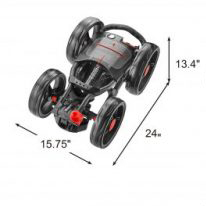 The 10.5″ rear and 9.5″ front wheels make it rolling easily in the high grass. 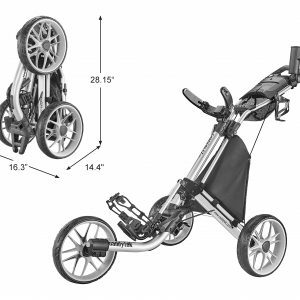 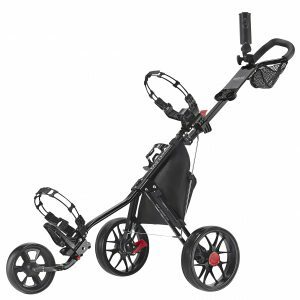 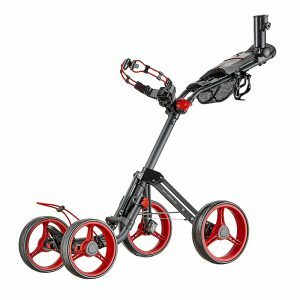 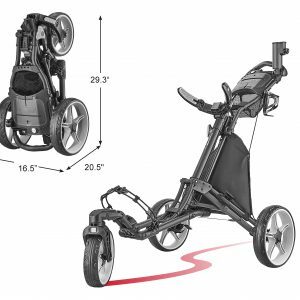 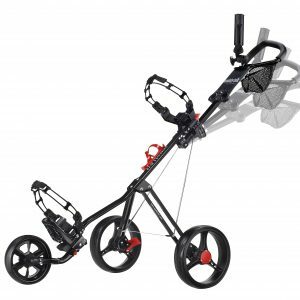 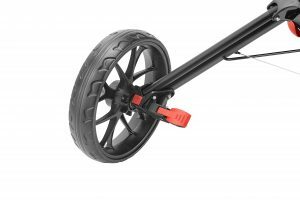 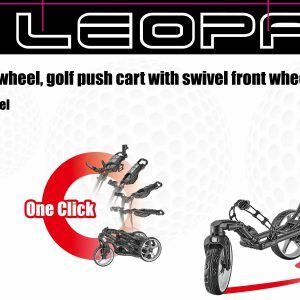 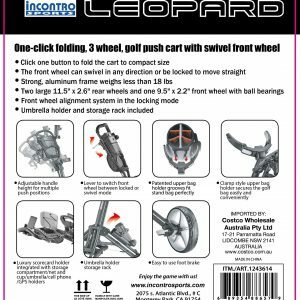 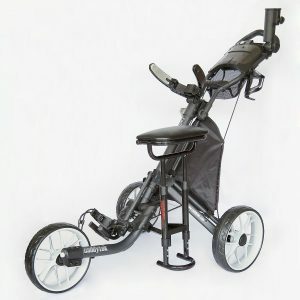 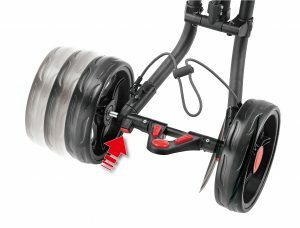 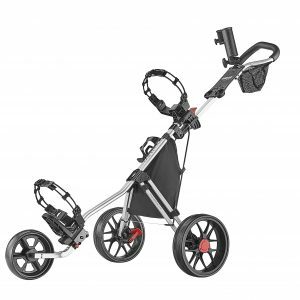 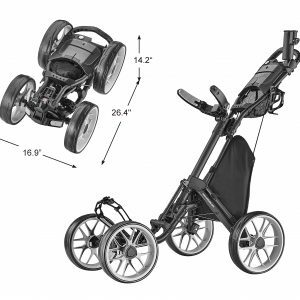 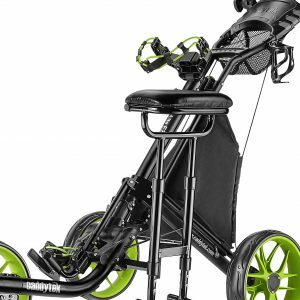 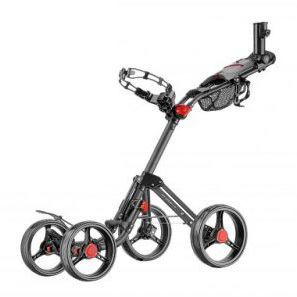 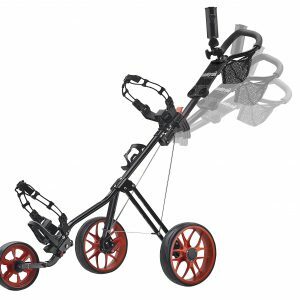 Golfers can push the cart effortlessly on all terrain with the stable 4 wheel design, multiple handle positions and smooth-rolling ball-bearing wheels. 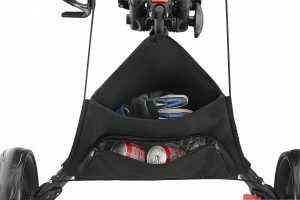 The CaddyTek Explore is equipped with features that most golfers want, including umbrella holder, scorecard holder with storage compartment, beverage holder and the mesh net basket on the handle. Rain or shine, cart your clubs around the green in style and enjoy the game! 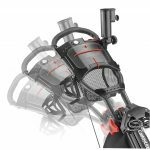 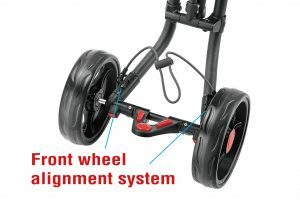 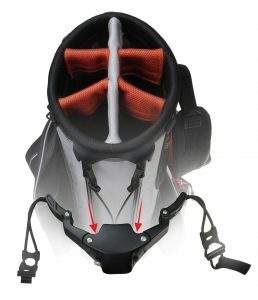 Adjustable distance between front wheels to fit all sizes of golf bag and improve stability to the cart.